Euro 6 is a vehicle emissions standard that all new cars sold in Europe must meet. It became mandatory in September 2015. What does Euro 6 mean? To combat the rise in air pollution, the European Commission first introduced Euro 1 in 1993. Since then legislation has become stricter in a number of steps, pushing car makers to develop newer and cleaner engine technologies. Billions have been spent. The sixth step - Euro 6 legislation - became mandatory in September 2015, meaning average CO2 emissions need to fall below 130g/km across a car company's entire range. 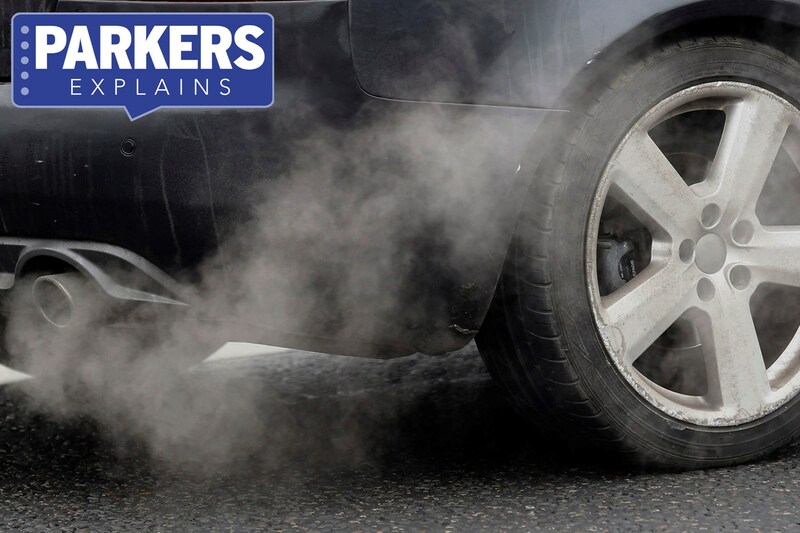 There are also tighter restrictions on a wide range of pollutants including carbon monoxide, hydrocarbons, NOx and particulates. There is a further target for 2020 set at 98g/km. Euro6 placed more emphasis on NOx than previous regulations. How does Euro 6 affect me? The Euro 6 regulations do not directly affect car buyers, however manufacturers are likely to try and encourage sales of more fuel-efficient models in order to ensure that they meet the target that they have been given. That said, it is still a good idea to be armed with the facts when you enter a dealership. Remember that Euro 6 is an average limit and does not stop you buying a higher-emitting performance model or 4x4. Use our Car Tax Calculator to find out how much road tax you will pay on a car. Will I pay more due to Euro 6? Some Euro 6 engines might come at a premium, so that car makers can claw back some of the billions invested in developing the new technology. However there is little consistency within the industry when it comes to pricing. The obvious benefits to picking a Euro 6 engine (apart from helping the environment) is that you will be buying the very latest in engine technology, which in most cases means better fuel economy and low CO2 emissions, resulting in lower tax bills and fewer trips to the filling station. What’s the next step after Euro 6? Legislation is only going to get tighter and stricter, with even more targets set for 2020. Investing in a Euro 6 engine now could help you save in the long run. The cost of car tax for higher emitting cars is only going to go up as the average continues to fall. Another stage of Euro 6 began in 2017, testing cars to make sure they meet the limits on a variety of road conditions. This will ensure the targets are met in real life as well as the lab. What is Euro 6.2 and does it avoid the diesel surcharge? Emissions standards are planned well in advance, as is legislation to respond to them. Euro 6.2 - applicable to newly launched cars from September 2017 and all new registrations from September 2018 - is also known as Euro 6d-TEMP. It is a step in the process linking Euro 6 targets to real-world emissions testing. The Finance Act 2018 clear on how the diesel surcharge for VED and BIK will be applied. however, and regardless of actual emissions the work undertaken by manufacturers to meet Euro 6d ahead of the 2020-2021 deadline is essentually overlooked. Euro 6.2 compliance has little relevance to the UK car buyer beyond the knowledge that their car is being tested against real-world emissions and conforms to mandatory standards across Europe - some other countries recognise the new standard for emissions. In some European cities, Euro 6d-TEMP is used to determine if a vehicle is sufficiently clean to enter environmental zones such as polluted city centres - and if you plan on driving in Germany, you may need a blue badge indicating type approval for the lower emissions. You can obtain the required windscreen sticker here. Whether or not they meet the reduced NOx and CO2 benchmarks that define the target HMRC considers low enough to avoid the diesel supplement, as the cars will not be certified under Euro 6d, they'll still attract the charges. In an effort to mitigate the effects of greenhouse gases, the Climate Change Act (2008) requires the UK to reduce greenhouse gas emissions by at least 34% by 2020 and 80% by 2050 compared with 1990 levels - with transport playing a critical role in meeting these targets. The accumulation of these gases (most importantly CO2 and methane) in the atmosphere is a key contributor to climate change. These harmful gases in the air have steadily increased and the effect they have on climate change is beginning to become much more obvious with heatwaves, floods, droughts and storms becoming more frequent around the world. Let us also not forget the associated health risks with the rise in these harmful gases. Should you buy a petrol or a diesel car? This debate continues to rage on; find all the latest information about petrol vs diesel cars here.